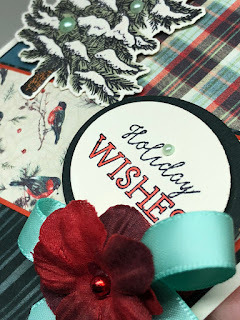 For today's Stamp Simply project, I couldn't resist adding some pearls, a bow and blossom to what started out as a masculine card inspired by this awesome plaid designer paper. 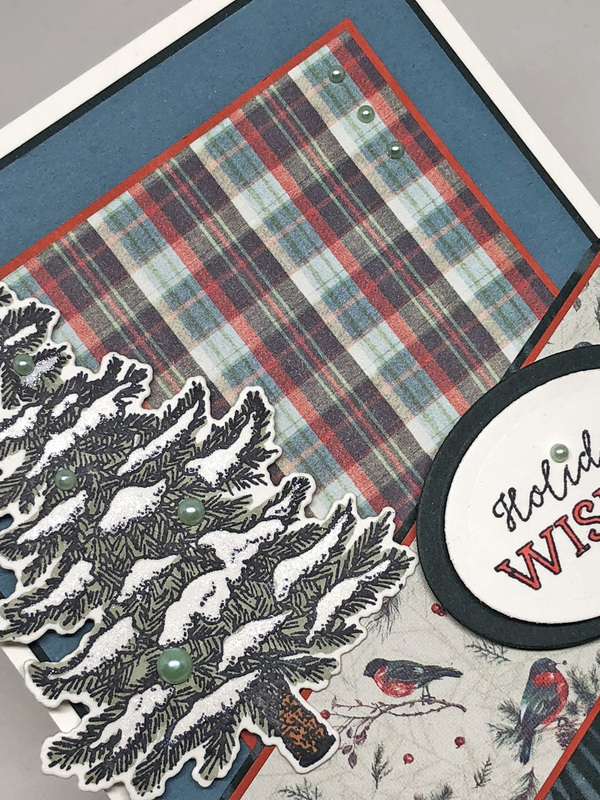 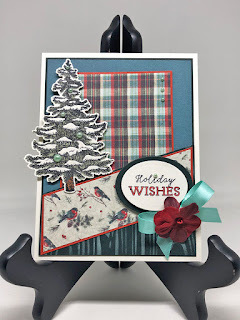 The bird print and the woodgrain stencil both add to its woodsy feel, and although it is in Christmas-y colors, with this sentiment and a change of designer paper it could easily be adapted for other Winter holidays/occasions. 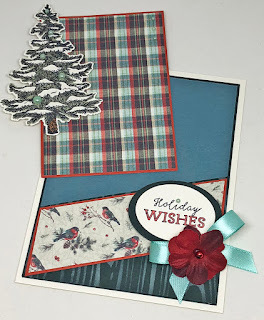 This is a flat, unfolded pocket card. 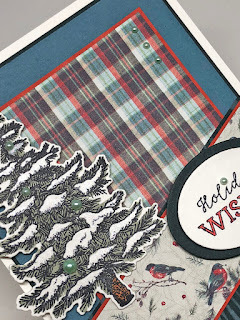 One could attach a gift card to the back of the pocket insert if desired. If you look closely, you might be able to see a little of the sparkle of clear Wink of Stella on the snowy branches of the tree...very difficult to try to capture on camera and much prettier IRL.